Chef's Table at La Rosilla- Unique & delicious, Supper-club dining. 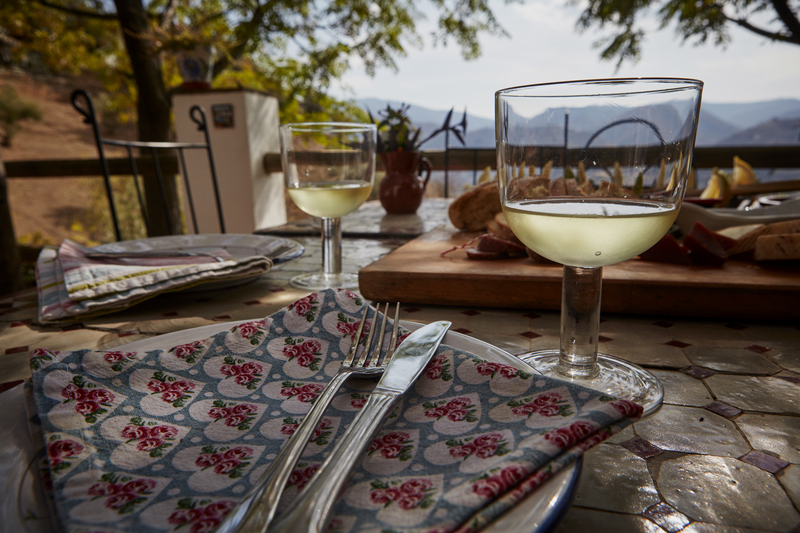 Come dine with your friends and family, and experience the unique and delicious, Chef’s Table at La Rosilla. Your choice of lunch or supper will be served to your private group. During the summer months under the grapevine, on the terrace with spectacular views. Cooler seasons, your dining will be hosted in the cosy dining room, in front of a log fire. You will be greeted at our traditional, Spanish ‘Finca‘, with welcome cocktail and canapés, so you can relax and chat with your group and soak up the atmosphere, before being invited to the table. Here you will be served a freshly prepared, seasonally, inspired menu. 3 courses, homemade bread fresh from the oven, with homegrown olive oil and jugs of red and white wine to wash it down and coffees before your leave. Why dine at the Chef's Table? A unique experience, dinner party, dining with style. Seasonal, inventive menu, with locally sourced and home-grown produce. Unusual menus, so you can sample something a little bit different. A perfect location for small intimate groups or special celebrations. One set price for a complete gourmet experience. Welcome drink, canapés, 3 courses, house wine, water & coffees. A unique dining experience in a spectacular location. A fabulous ‘Foodie’ occasion to indulge, taste and share good food and wine with friends.